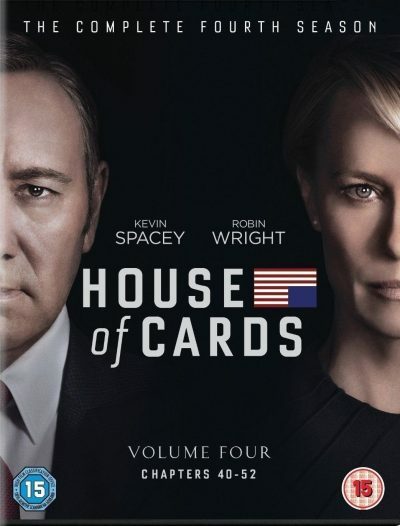 In the latest season of the Netflix drama House of Cards, the fictional administration of President Francis Underwood and Vice President Claire Underwood, facing a domestic political crisis, uses a manufactured chemical weapons attack in Syria to declare war on the country. In a case of politics following art, the Trump administration has accused the Syrian government of “preparing” to use chemical weapons against the civilian population. No evidence has been presented to back up the concocted threat. In other words, any alleged chemical weapons attack in Syria could be used to justify war against Iran and Russia. Pressed to substantiate the White House’s allegation, Pentagon spokesman Jeff Davis refused to produce any evidence. He said the alleged intelligence was from “the past day or two” and regarded “specific aircraft in a specific hangar, both of which we know to be associated with chemical weapons use.” This was a reference to the Shayrat airfield, which the US targeted with a cruise missile strike on April 6. Some military officials said they had “no idea” what the White House was referring to. British defense officials said they had not seen the evidence, but would support US military escalation regardless—meaning they do not care whether the allegations are true or false. 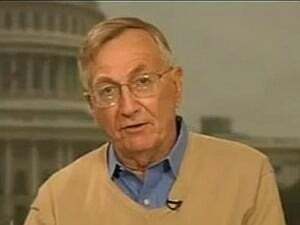 The White House statement followed by just one day the publication of a detailed article in Die Welt by Pulitzer Prize-winning journalist Seymour Hersh, the reporter who exposed the My Lai massacre during the Vietnam War, which demonstrated that the allegations used by the Trump administration to justify the April 6 missile attack on Syria were entirely unsubstantiated. Drawing on background interviews with military and intelligence personnel, Hersh wrote that the administration possessed no evidence to back up its claims that the Syrian government had launched a sarin gas attack on April 4. The false allegations of a chemical attack and subsequent bombardment of the Syrian airbase were so brazen that they provoked opposition from within sections of the military/intelligence apparatus. At the time, Trump was under immense pressure from the Democratic Party and intelligence agencies to shift to a more aggressive stance against the Syrian government. Just days before, the Senate Intelligence Committee had held a hearing at which it was alleged that Trump had effectively collaborated with Russian efforts to undermine the 2016 US election. Columnists and pundits painted the president as little more than an agent of the Kremlin. At the time, no major US news publication even raised the question of whether the White House’s allegations were credible. They were simply accepted as good coin, demonstrating that the media’s role as a propaganda organ for war had not abated. Indeed, Hersh was unable to find a news source to publish his most recent article in the United States. The story was also rejected by the UK’s LondonReview of Books, which published earlier investigative reports by Hersh, forcing him to turn to the German newspaper. As shown by the latest fabricated Syrian “atrocity”—this time, supposedly in “preparation”—nothing has changed in regard to the media’s readiness to serve as a sounding board for government propaganda. But the media’s acceptance of the administration’s concocted claims about weapons of mass destruction in Syria cannot hide the fact that they are, in fact, concocted. In what has become standard operating procedure, the administration has not attempted to present a shred of evidence, making only the most general allegations, which the American population is expected to swallow whole. Fourteen years ago, the Bush administration used lies about weapons of mass destruction to start a war in Iraq that led to the deaths of millions. Now the Trump administration, with the full support of the media and the entire political establishment, is using equally groundless claims to escalate a war that could result in a nuclear exchange between the United States and Russia, the world’s second biggest nuclear power. Far from opposing the escalation of war, the Democratic Party has made this its central demand since the election of Trump and the focus of its opposition to his administration. In an article published this month in Foreign A ffairs, Tim Kaine, Hillary Clinton’s running mate, spelled out the aggressive foreign policy aims that underpinned Clinton’s candidacy and are at the center of the present hysterical campaign over Trump’s alleged “collusion” with Russian President Putin. As a recent article in the Washington Post makes clear, the Obama administration had expected to transfer power to a Clinton White House that would immediately begin preparing a major escalation in Syria, entailing a possible clash with Russia. Trump’s surprise election victory disrupted these plans, which were well advanced. Hence the ferocity of the efforts by the Democrats and the intelligence agencies to pressure Trump to carry out a shift to a more aggressive and more anti-Russian foreign policy—efforts that appear to be succeeding. The deepening tensions between the US and Russia over Syria pose an existential danger to humanity. The only way to avert the catastrophe to which the US political establishment is rushing is for the working class to intervene independently, on the basis of its own socialist, internationalist and revolutionary program.